The perfect device for the lady and gentleman who wants a powerful phone that can withstand almost anything. 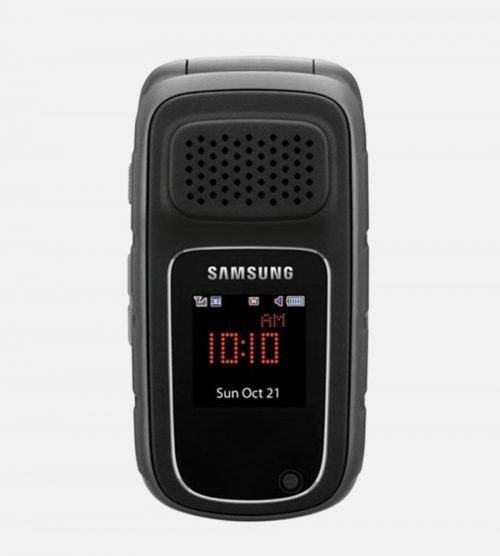 The Samsung Rugby 3 was designed for power. After the success of the fantastic Rugby 2, Samsung released the Rugby 3 sporting the same level of ruggedness and protection as the 2, but with updated specs that will suit even more people than the previous model. Although a little heavier than the Rugby 2 (4.7oz compared to 3.5oz), massively improved battery life and other new additions make the little extra weight well worth it. An improved camera, with new video capabilities, and a micro USB connection all add to the improvements on the Rugby 3. Blue tooth is also improved and the enhanced GPS has been retained. Built in email and web browser apps, all designed to work smartly and efficiently. This means that the device is built to appeal to those for whom a full-on smartphone is both too much and too expensive. Add voice recognition, an MP3 player and the ability to record audio, and we’re suddenly looking at a device which has almost everything you need to get through an increasingly technical day. It won’t becoming a financial burden on either purchase price or contract cost. And we almost forgot – it’s 4G. Oh, and like the Rugby 2, it’s still as tough as old boots. 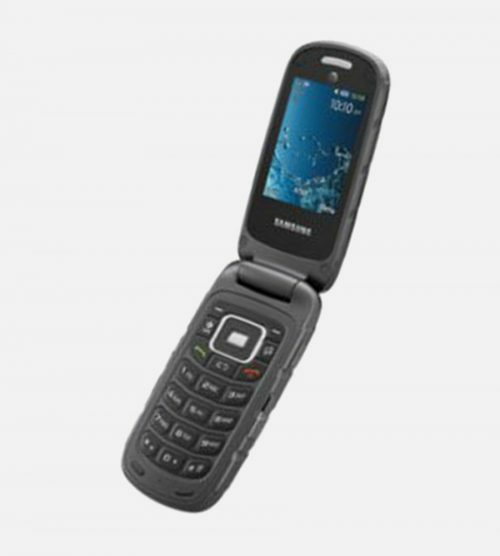 The Samsung Rubgy 3 uses a standard sim card, which is the largest sim card. Please use the chart at the side to understand the different sizes and how they appear. Please note that you can purchase a SIM card adapter online at a very low price. 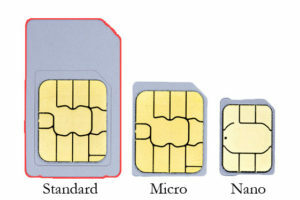 The SIM card adapter will enable you to place a nano or micro SIM card into the slot of a standard size. But There is Still No Wi-Fi? No, still no Wi-Fi, but given what the phone is and isn’t capable of, Wi-Fi really isn’t necessary. Yes, web browsing could be a little quicker on Wi-Fi. However browsing isn’t the center of this phone like it would be on more recent devices. The Rugby 3 is all about being a phone with added capabilities. Rather then it being a media and internet device that happens to be able to make phone calls. There’s still no touch screen either but, for the same reasons as mentioned above, it really isn’t something you’ll miss on a device like the Rugby 3. You do, though, still get compliance with the MIL-810 standard, meaning the Rugby 3 is waterproof up to 1 metre for 30 minutes. It is dust proof, salt proof, temperature proof, including sudden changes and can withstand most chemicals. Very practically, it is more likely to survive a drop than just about any other smartphone-related device. I Have the Rugby 2, Should I Upgrade? It really depends on whether the Rugby 2 does what you need, or whether you feel it’s missing things like video and audio recording. 4G capability also makes web browsing a smoother experience than on the Rugby 2. That is great if you want to do the occasional bit of online shopping. The Rugby 2 is still a great phone. 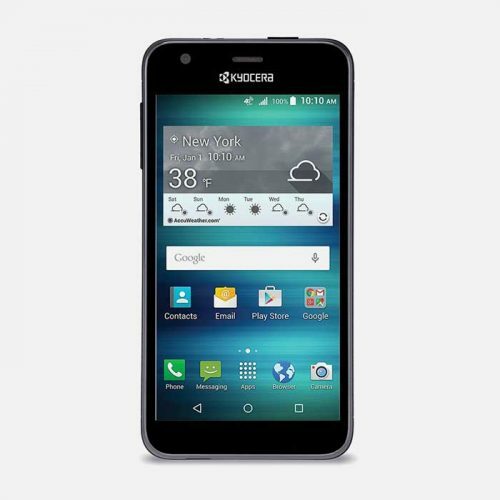 But, it must be said, the Rugby 3 brings the range far more within touching distance of recent smartphones. The Rugby 3 has a massive battery life that provides 20 days (yes, days) standby and 20 hours talk time. It may just make all the difference when you’re on a hiking trip or camping where there’s no power outlet available. The Samsung Rugby 3 is as impressive a device for those with a truly active lifestyle as we’ve seen. Try jogging every day with an iPhone strapped to your arm. Eventually, you’re likely to see a “SIM error” message from all the vibration the phone has been subjected to. With the Rugby 3, you can probably be a professional bungee jumper without worrying about whether you’ll be able to use the phone afterwards. You will be able to video yourself on the way down as well. And back up. As with all our devices, the Rugby 3 is unlocked, making it compatible with networks all around the world. 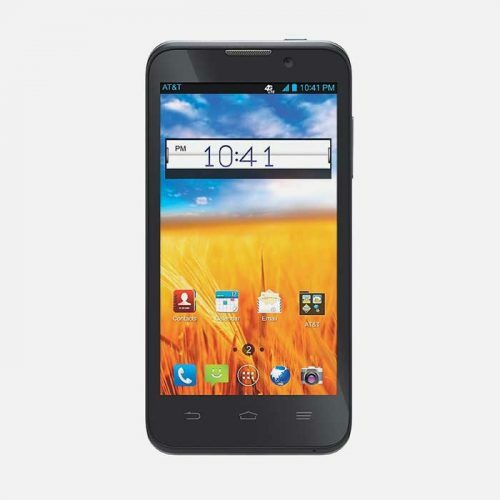 Like the Rugby 2, the Rugby 3 is a phone that goes further than just being a phone. 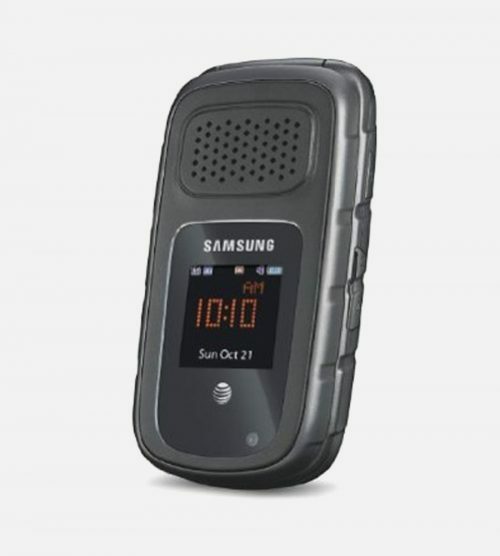 It’s a tough – a really, really tough – communications device that will keep you in touch with family, friends and work whatever the weather or circumstances. If you need an iPhone, buy an iPhone. 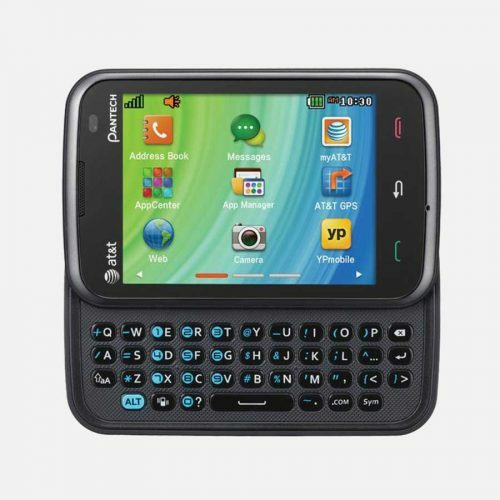 If you need a phone without the “i”, buy a Rugby 3.